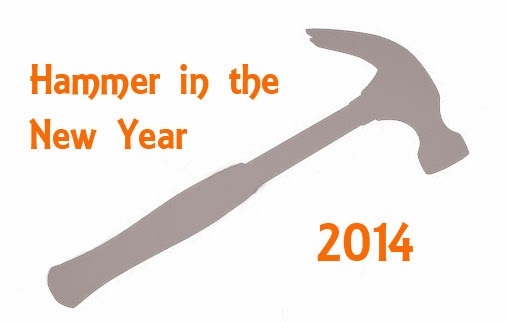 Yesterday, I ran the second annual Hammer in the New Year tournament. I learned a lot about running an event when I did the first one last year, and I think this one went even better! Due to space limitations at our FLGS, I had to cap it at 12 participants, but it worked out really well, and we had a full house. 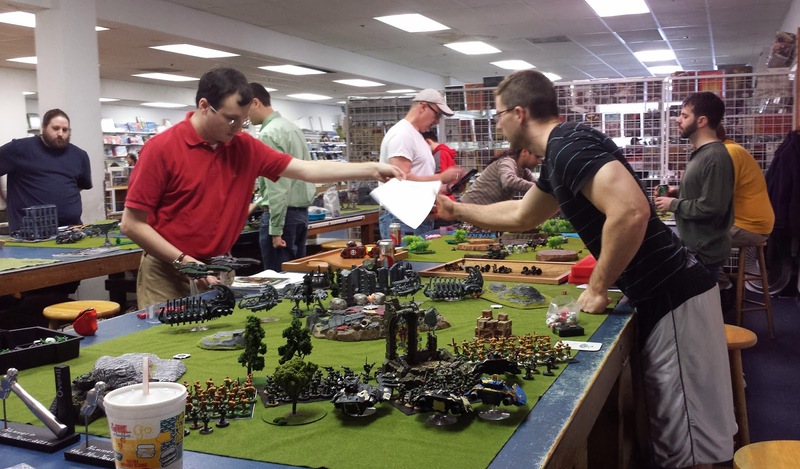 The tournament was 3, 2 1/2 hour rounds, at 1850 points. Surprisingly, 4 of the 12 people ran Imperial Guard or Guard allies. 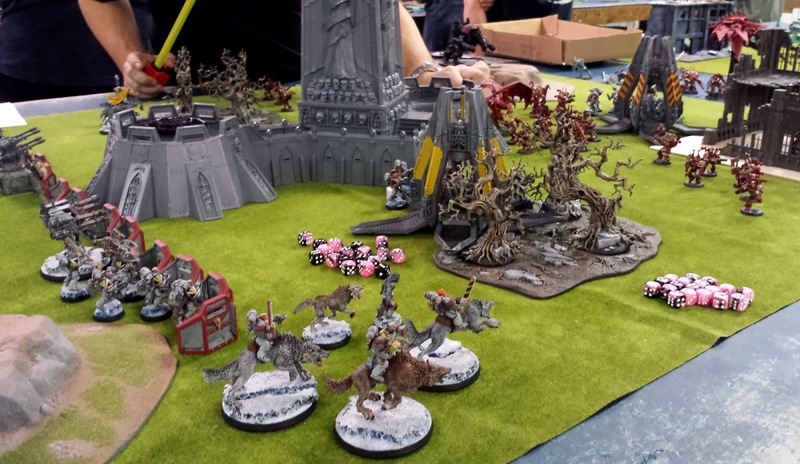 There was a nice mix otherwise, with Tau, Daemons, CSMs, Necrons and even Sisters of Battle making an appearance. One player had to drop after the second round, so my army made a surprise appearance. It's the first game of 40k I've played in a while. Had a nice game against a new opponent, which is always a good time. In addition to the regular missions, there was a special Baby New Year marker on each table, that gave bonus points if you completed the objective for it that game. They were small, plastic babies mounted on flying bases. Everyone thought they were sufficiently creepy, which was just the effect I was going for. Congrats to Best Overall, Joe, and to Best General, Casey! 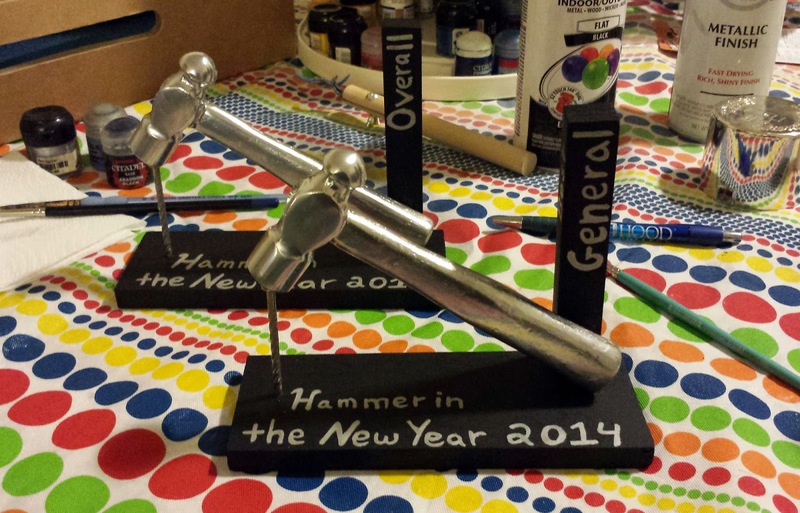 Prizes were store gift cards and the suprisingly-popular hammer trophies! I always have a fun time making them. I think they came out even better than last year's. Feedback has been good so far. I'm looking forward to running it again next year.